Taste New Zealand's best chardonnay, play on a natural rockslide and enjoy perfect waves fresh from the Pacific Ocean. 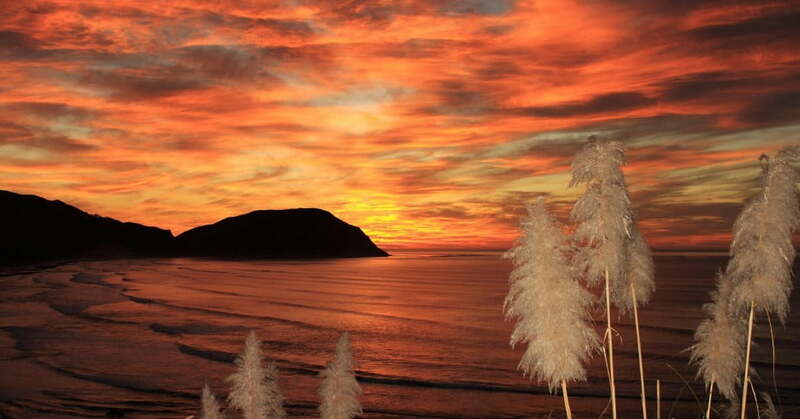 When the sun rises for a new day, Tairāwhiti Gisborne is the first city in the world to see it. You can walk up Kaiti Hill, also known as Titirangi, and watch the dawn unfold across the Pacific Ocean. It's a Gisborne moment that will live with you forever. Air New Zealand offers non-stop domestic flights to Gisborne airport from Auckland and Wellington. With all Gisborne airfares you can choose seat, seat+bag, flexitime or flexidate fare types. Flights from Auckland to Gisborne take 65 minutes, and Wellington to Gisborne flights take 75 minutes. A holiday in Gisborne lets you experience New Zealand's sunny, outdoorsy lifestyle without having to roam the entire country. You get beautiful beaches, alfresco winery restaurants, forest hikes, interesting historic sites and scenery-saturated road trips - all within one compact region. 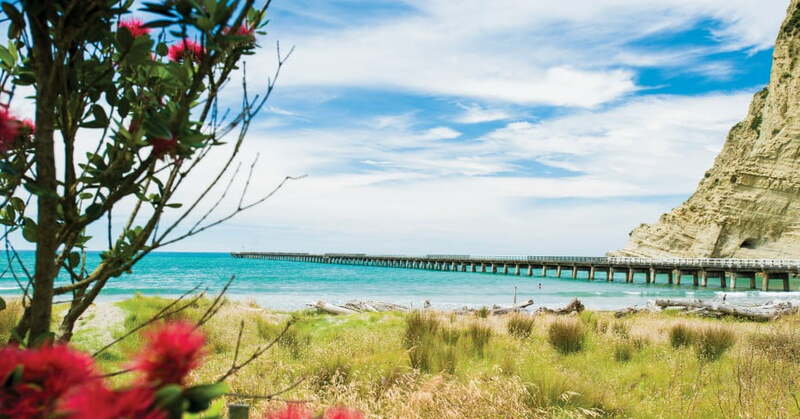 Gisborne is an ideal stopover point between Auckland and Wellington - it's definitely a detour worth making. 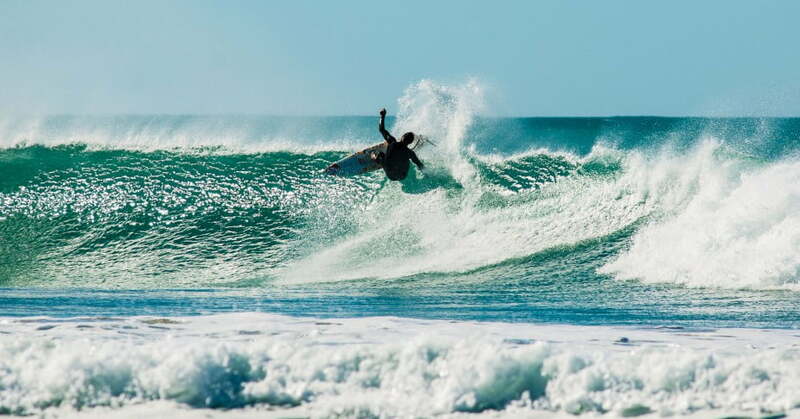 Surfers discovered Gisborne in the 1960s and they've been singing its praises ever since. If you've caught waves before, Wainui Beach is the place to hone your skills. Otherwise, sign up for surf school and discover whether you're goofy or natural. A breathtaking place to hike is Te Urewera, the largest untouched native forest in New Zealand. While Gisborne is heavy on the coastal beauty, it's equally blessed with an impressive hinterland where wilderness lakes, mountain ranges, dense forests and tumbling rivers beckon adventurous travellers. There are numerous trails to discover, but one of the most stunning areas for hiking is Te Urewera, the largest untouched native forest in New Zealand. The Lake Waikaremoana Track in this park is one of New Zealand's nine great walks. For a big walk that's closer to the city, try Te Kuri Walkway. It's a four-hour round trip through a range of beautiful landscapes. The highlight is a lookout point 290 metres above sea level. Biking is another way to embrace Gisborne sightseeing. The Motu Trails - part of Ngā Haerenga, the New Zealand Cycle Trail Project - encompass a whole range of rides for off-roaders. 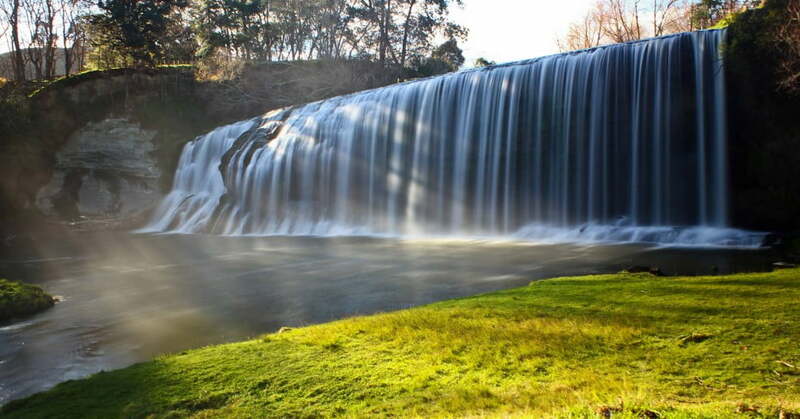 The closest trail segment to the city is Rere Falls Trail, a refreshing way to discover Eastwoodhill Arboretum, Rere Falls and other Gisborne attractions. By combining the Rere Falls and Motu Road trails, you can create an epic coast-to-coast ride. Tatapouri Bay's underwater world is another Gisborne treasure, especially if you have dive experience or like to snorkel. The snorkelling with stingrays adventure, available over summer, is a chance to observe wild-but-friendly stingrays as they glide along the sandy floor of the bay. Time, that rare commodity, seems freely available around Gisborne and Tairāwhiti. Nobody wants to rush the business of making fine wine and artisan foods, so you can expect some delectable experiences to come your way. A tour of cellar doors leads to favourites like Millton Vineyards, loved for riesling and chenin blanc; Matawhero Wines, where you can taste some of the region's famous chardonnays; and Bridge Estate, which has a cellar door in a 120-year-old stable. Around lunchtime you'll want to be at Bushmere Estate, which has an acclaimed restaurant - The Vines. You can also tour the region's wines without leaving the city. At the Gisborne Wine Centre you can taste a range of gorgeous wines accompanied by an antipasto platter. On Saturday mornings, the Gisborne Farmers' Market will tempt you with an outstanding array of fresh fruit and vegetables, artisan cheeses, bread and other delectable goodies. There's always live music and great coffee at this market. City food adventures for the daytime include Verve Café & Bar, PBC Café, Zest Café, and Frank & Albies. In the evening check out USSCo or The Marina Restaurant. These are just a few of the many café and restaurant choices you'll find within walking distance of the CBD. If you want to fly to Gisborne for less, we run regular special offers. You can sign up to receive regular email updates about cheap airfares, packages, competitions and exclusive offers. Gisborne is sheltered from westerly winds and has one of the sunniest climates in New Zealand. Summers are warm and winters are pleasantly mild. Any time of the year is good for surfing, hiking and visiting wineries. Eastwoodhill Arboretum is best in autumn. If you visiting Gisborne from overseas you might need a visa to holiday in New Zealand, depending on where you're from and how long you're staying. See the visa-waiver list. Sunrise image courtesy of gisbornenz.com; Gisborne sunrise image courtesy of gisbornenz.com. ; Sunrise image courtesy of Brett Cronin; Couple at Rere Falls image courtesy of Damon Meade. ; Coastal view image courtesy of Activate Tairawhiti; Surfer image courtesy of Activate Tairawhiti. ; Rere falls image courtesy of Liam Clayton; Eastwoodhill Arboretum image courtesy of Brennan Thomas.